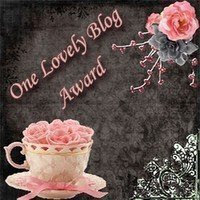 I was given the One Lovely Blog Award from Lily's Licorice & Not So Average Mama. Thanks for the award! Now I am supposed to pass it on to blogs that I have newly discovered. I am going to pass it on to three blogs (bloggers) that have recently been visiting me and I have them. Hope you enjoy your award. Thank u for the award girl.. posted it already HERE. Thank you Sue! I'd love to post this on my blog. God bless your family always! Hi, Sue. I think I've been cross-eyed the past few days so I missed the award. This is quite a late reaction.